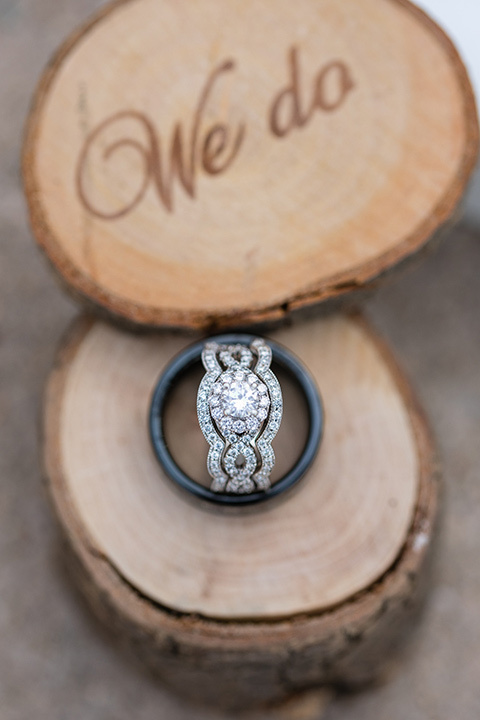 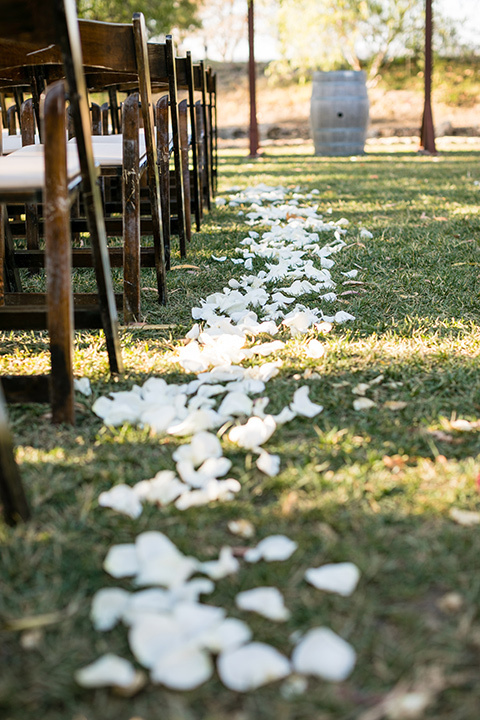 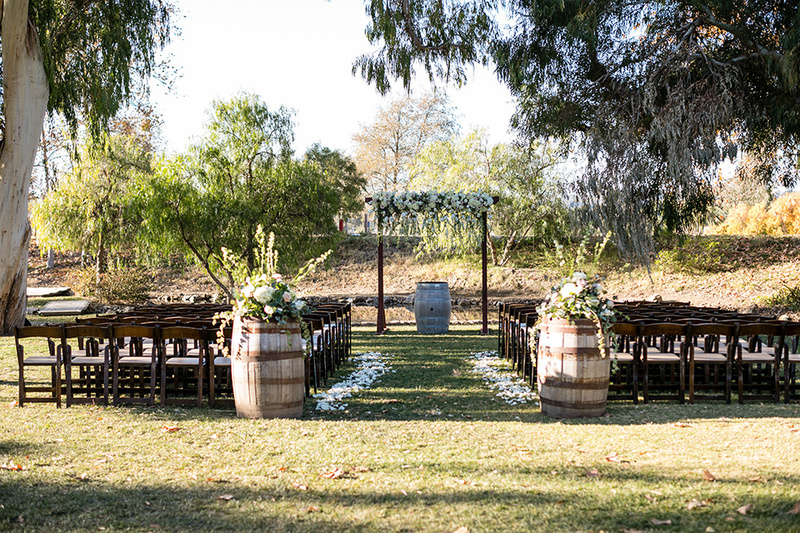 If you're considering a ranch style wedding, this blog may just push you over the edge. 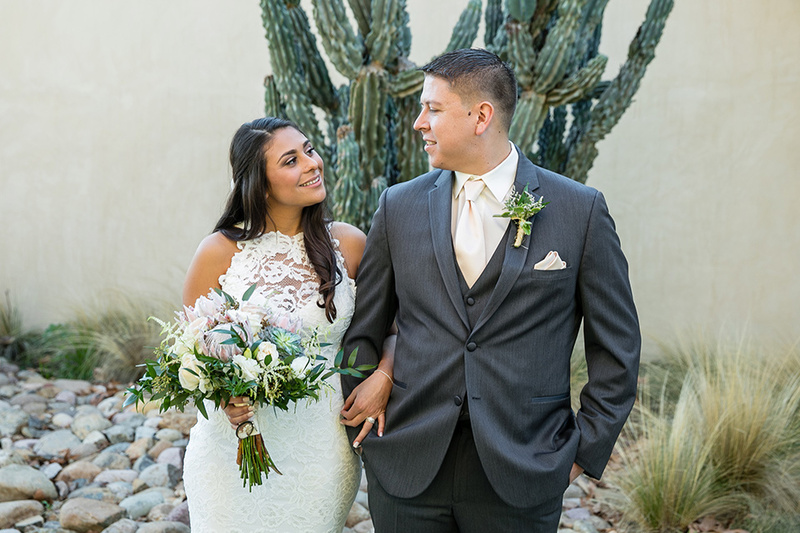 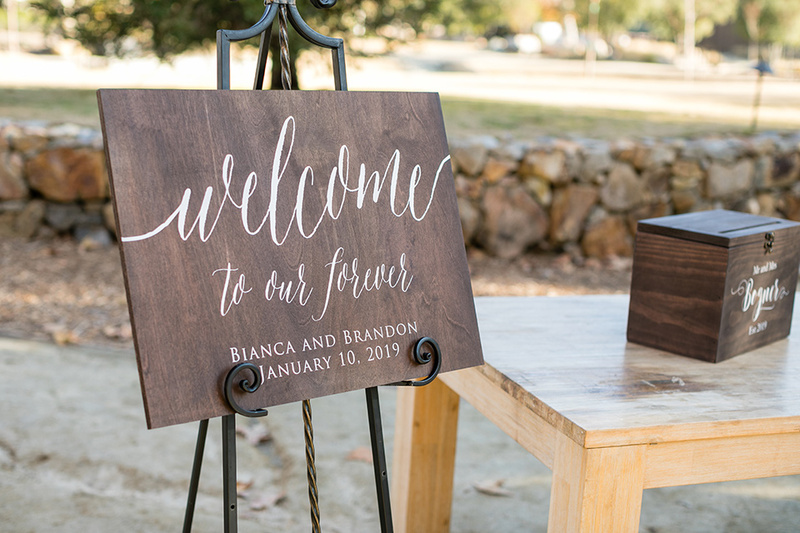 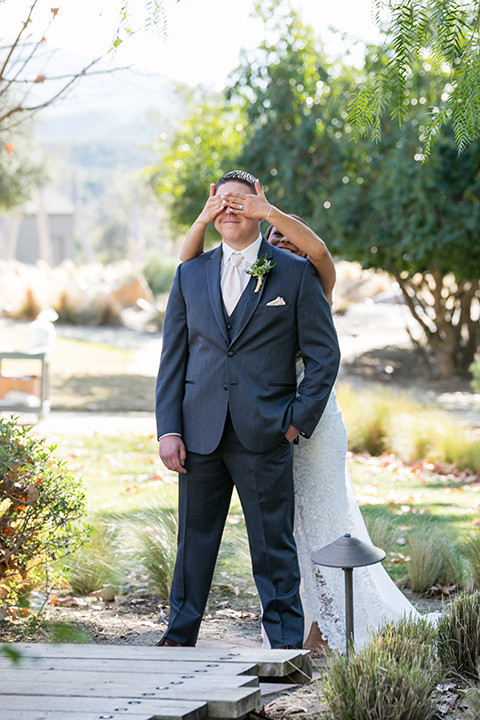 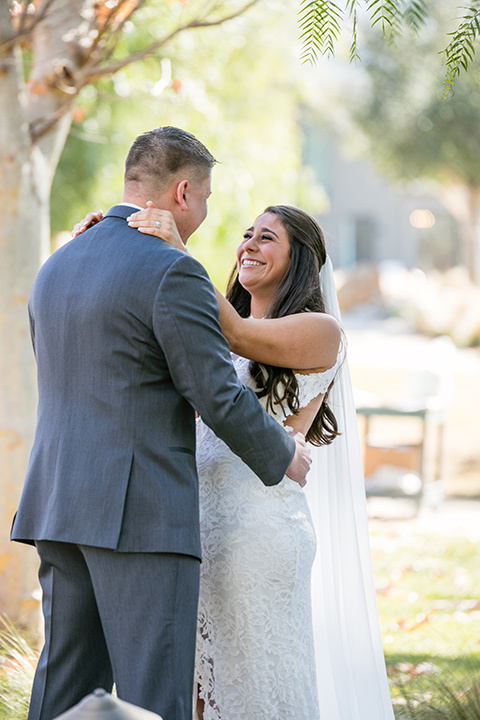 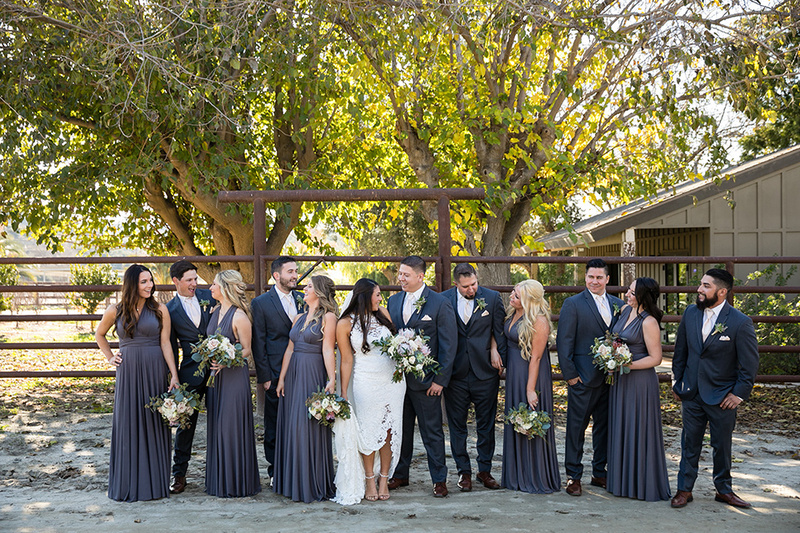 Our customers started with a very cool charcoal grey color palette and kept the flowers neutral to make their ranch wedding sophisticated rather than rustic. 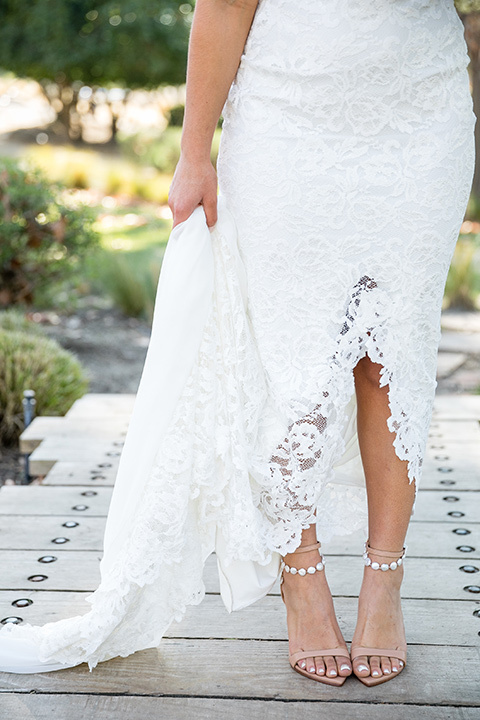 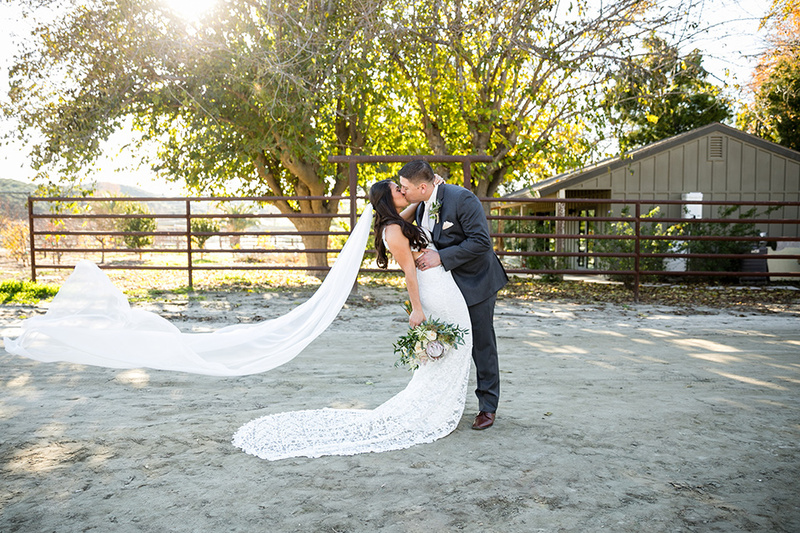 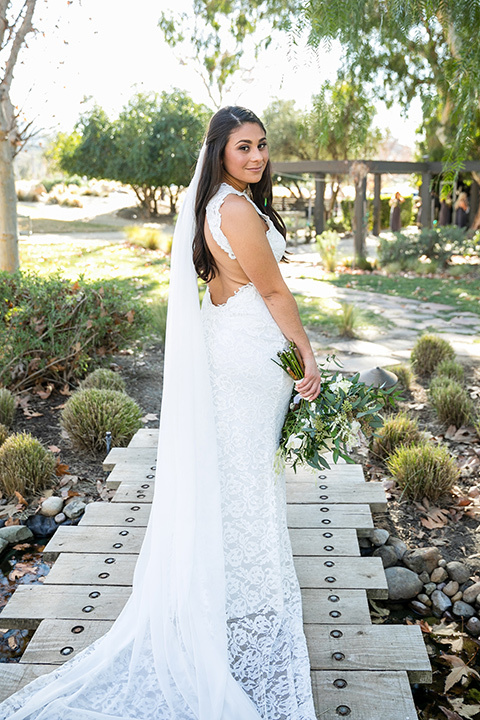 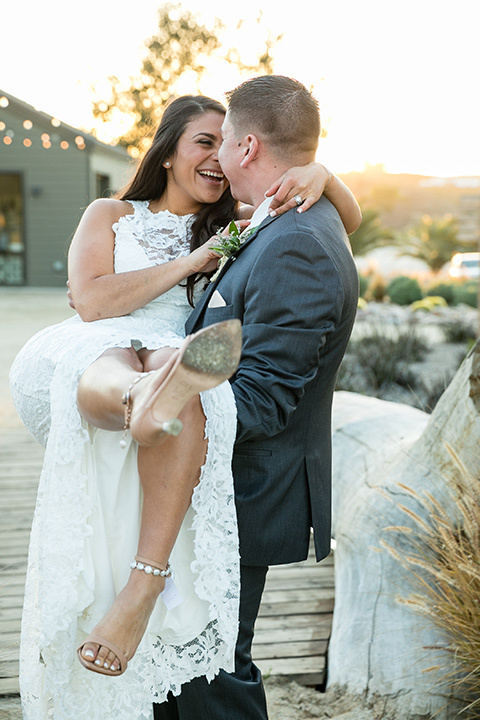 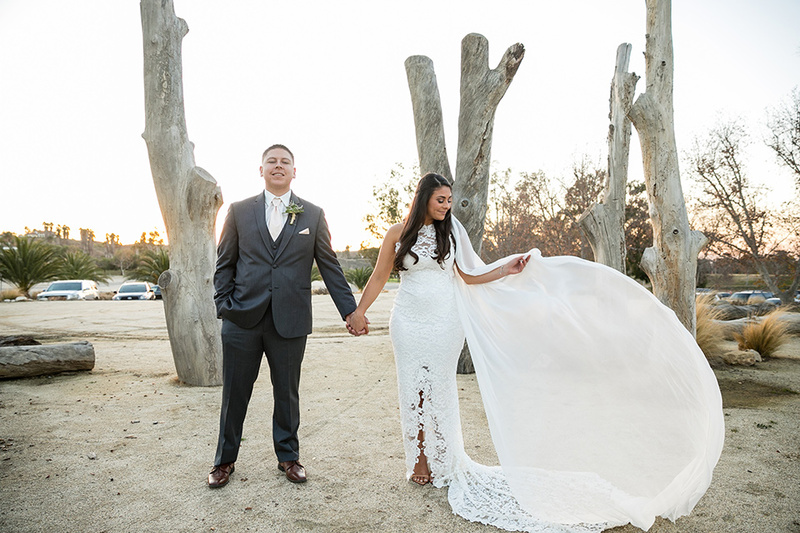 The bride's lace gown was pretty and romantic and fit perfectly with the setting at Galway Downs. 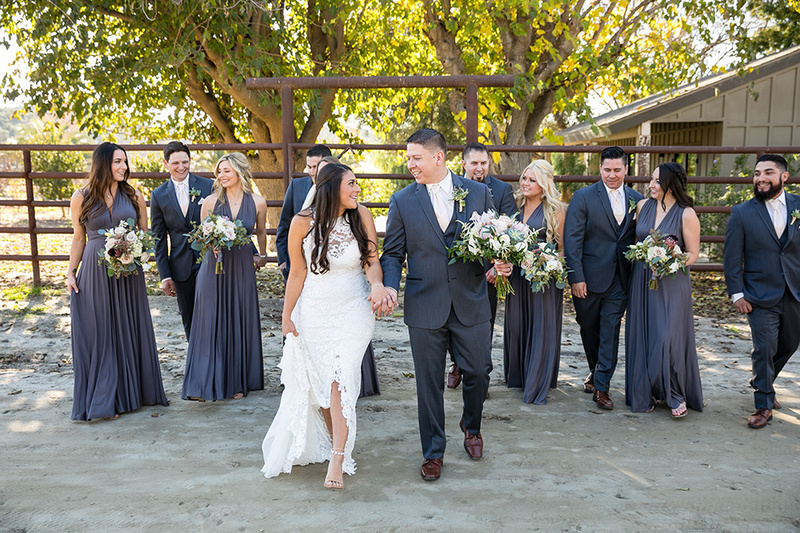 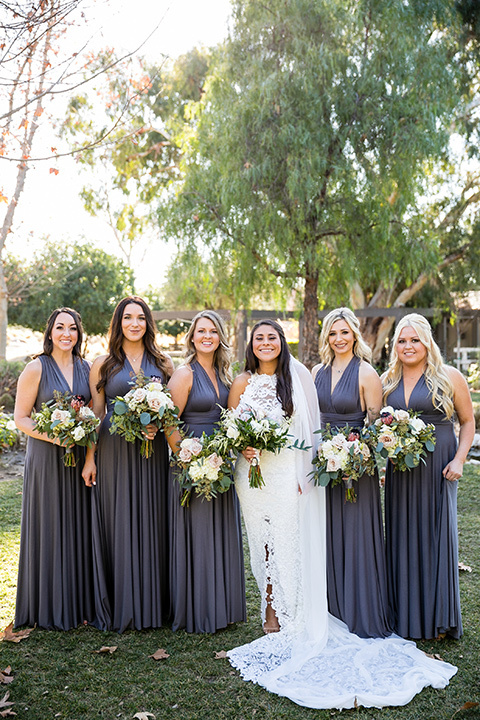 Her bridesmaids wore long charcoal gowns next to the groomsmen who wore Michael Kors charcoal suits, which proves that your bridesmaids and groomsmen can wear the same shade, gasp! 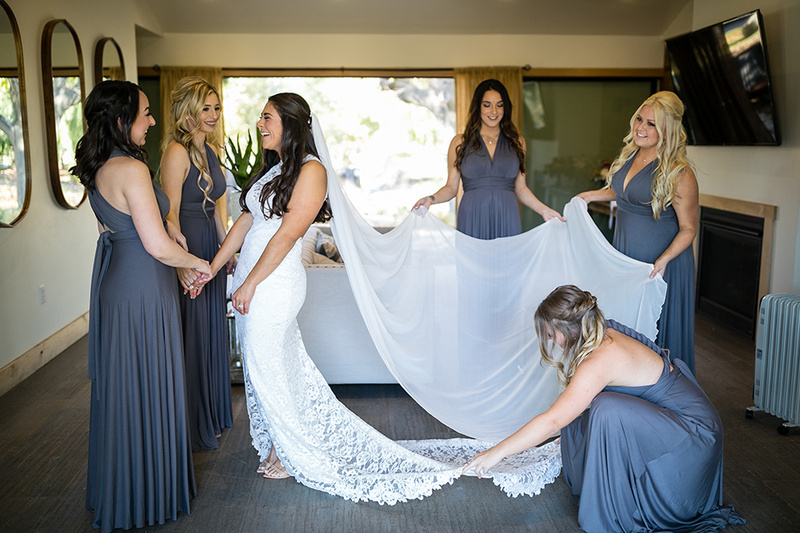 Yes, we have been asked if the bridesmaids and groomsmen can wear the same color and it is a delicate dance, greatly assisted by comparing color swatches and considering the rest of the accessories. 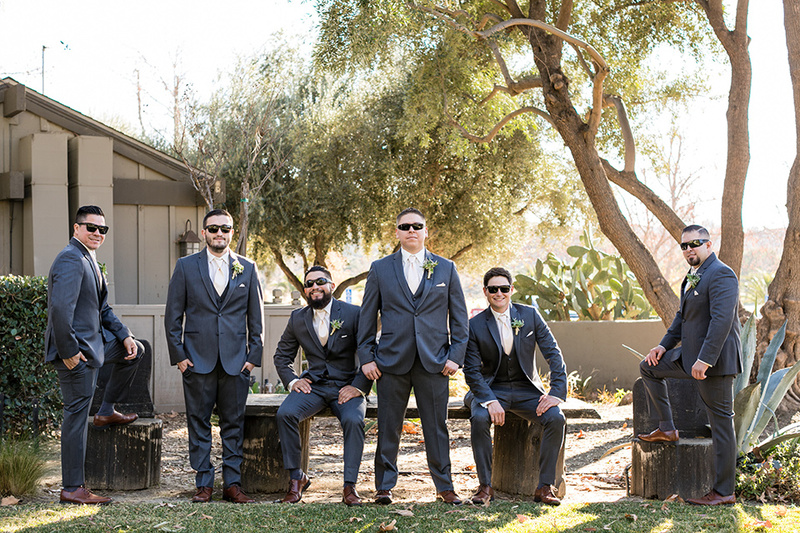 The groomsmen wore light neutral ties with the dark grey suits along with black suit shoes. 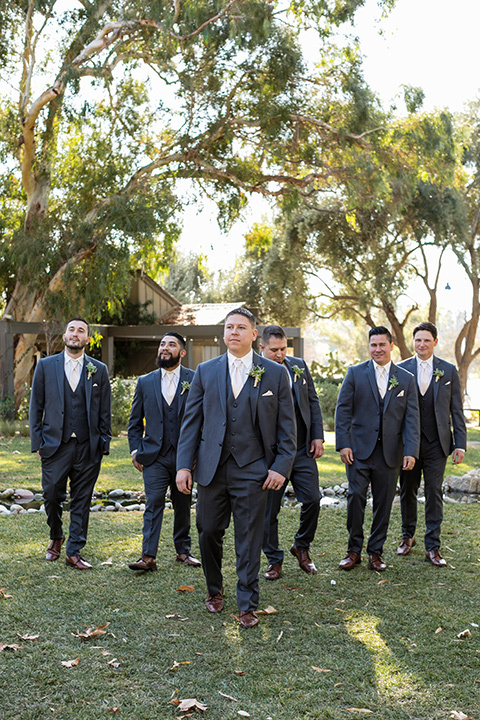 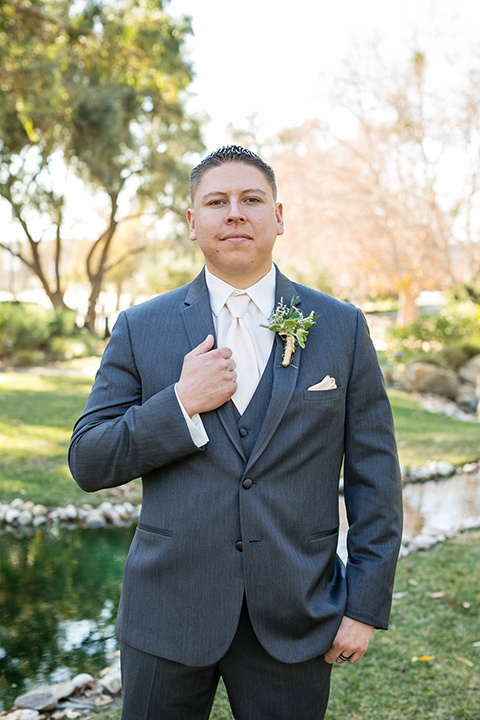 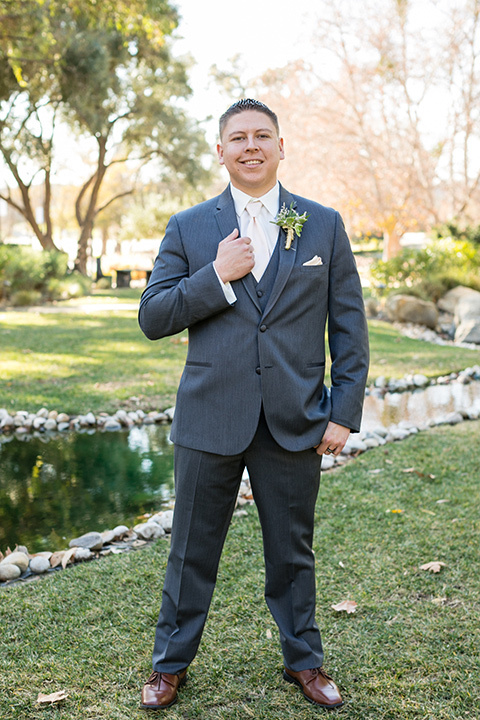 BTW stylists would be happy to help you create the right look, renting suits or buying suits, for your groom and groomsmen in consideration of your entire wedding design with a personal style appointment! 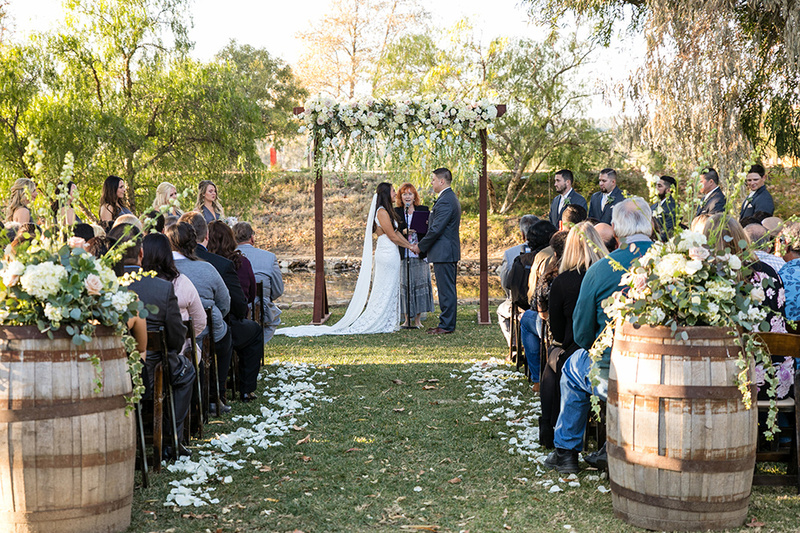 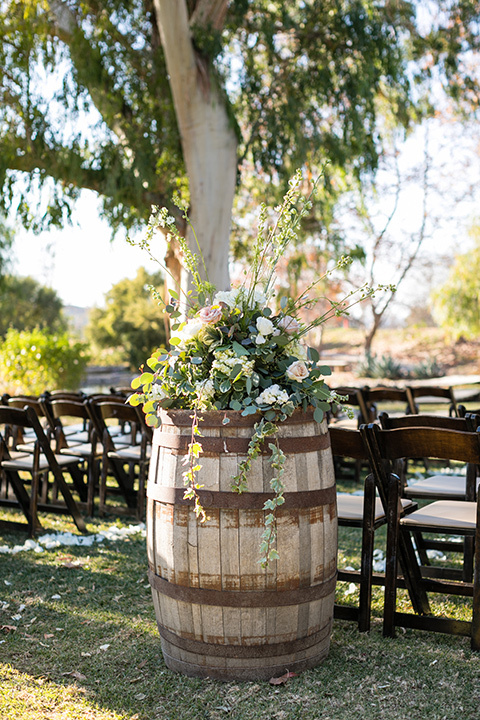 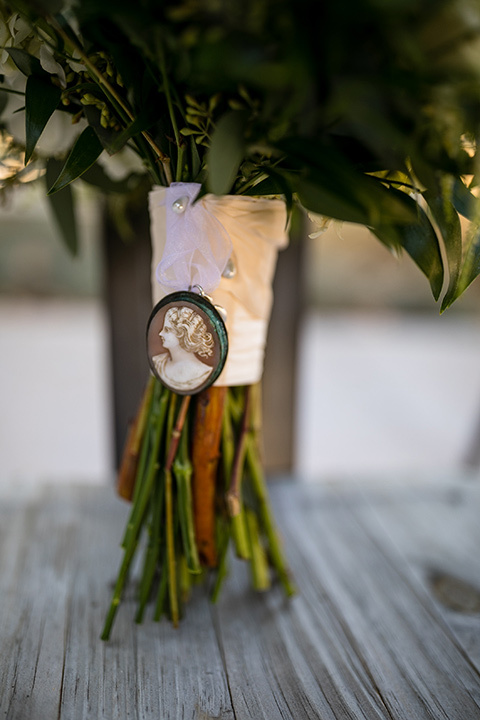 Onto the decor, the ceremony included wood chairs and wine barrels, a nod to the venue's vineyard, and the flowers were sage and shades of white, it was a lovely design that naturally extended from the venues existing aesthetic. 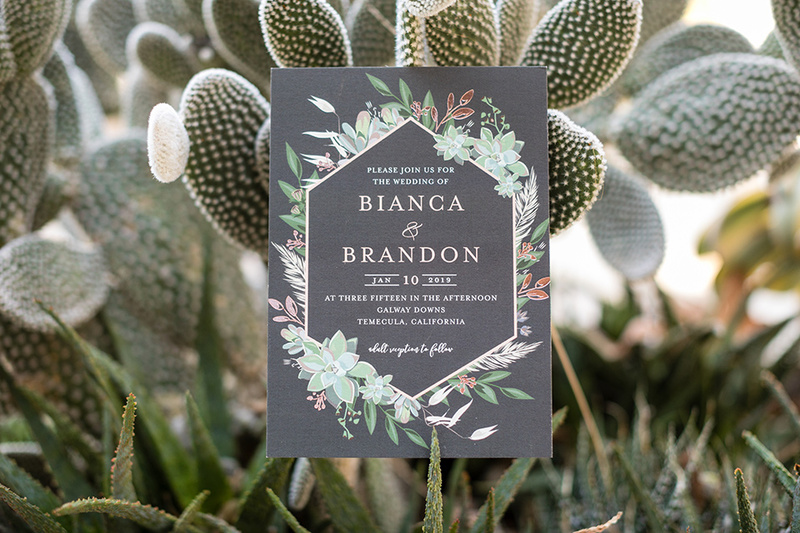 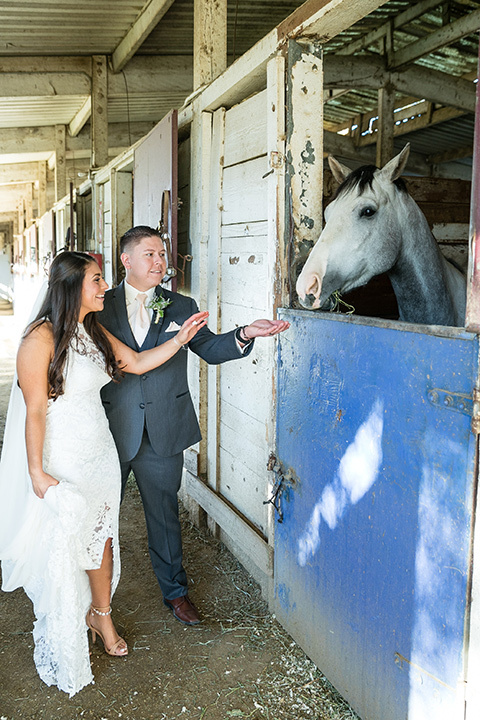 The succulent tie ins on the invitations are in line with current trends as is the photo with the horse, never miss an opportunity to get some shots with animals on your wedding day!